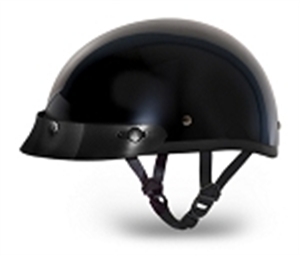 Daytona Helmets Skull Cap motorcycle helmets are some of the smallest and lightest DOT approved helmets in the world. It's part of our slimline, a sleek contoured Half shell design, that is available in a range of styles. 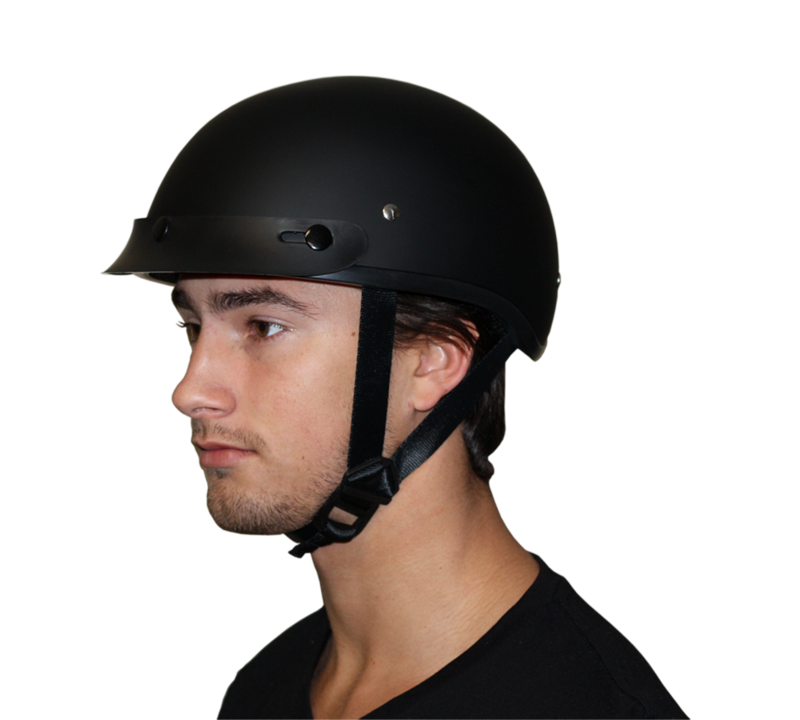 Skull Cap Helmets are for riders who don't want to sacrifice looks for protection. 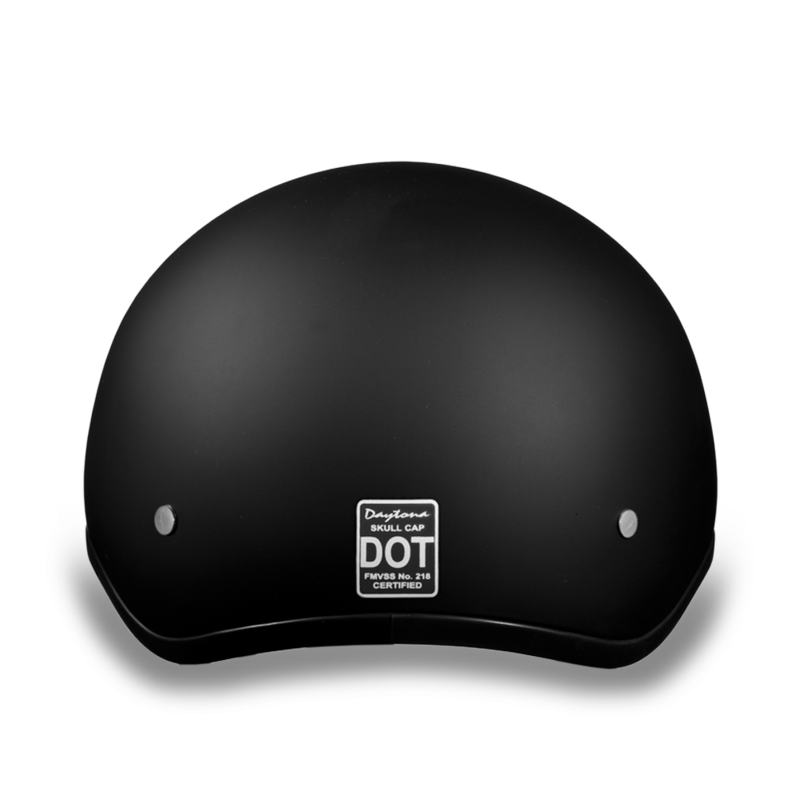 The extra low profile shell conforms to the shape of your head as much as possible while still meeting DOT standards. Eliminating the mushroom head look you get with other street legal helmets. 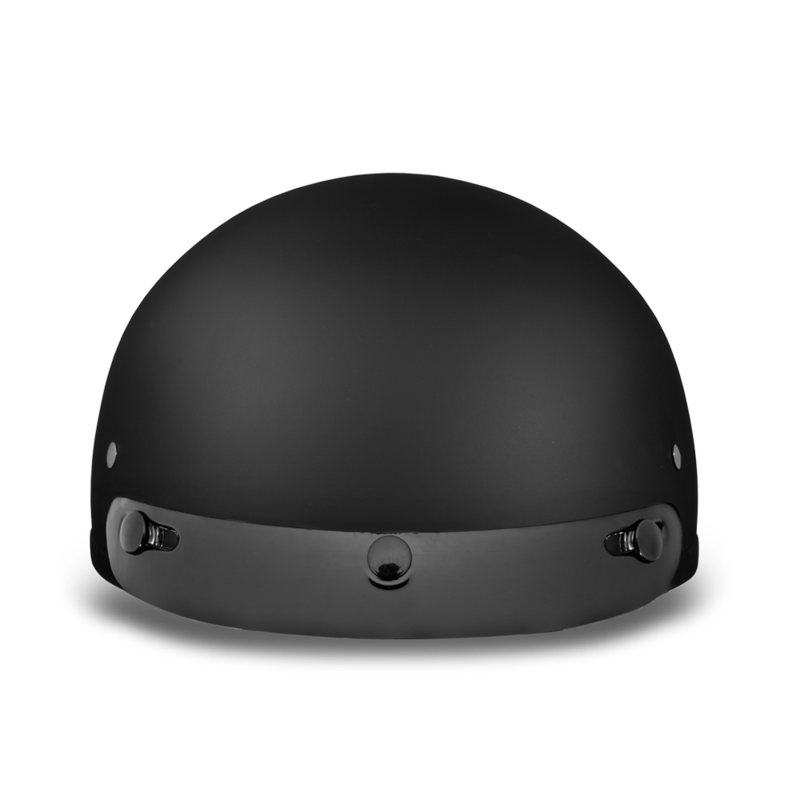 Recessed trim enhances the sleek profile and the Skull Cap’s inverted contoured shape has a tapered rear edge that hugs your head for a much better look. A feature you won't see on other half shell helmets. Skull Caps come in three different shelf sizes to make sure that every rider gets that proportionate fit. So, as your head gets smaller the helmet shell size get smaller too. 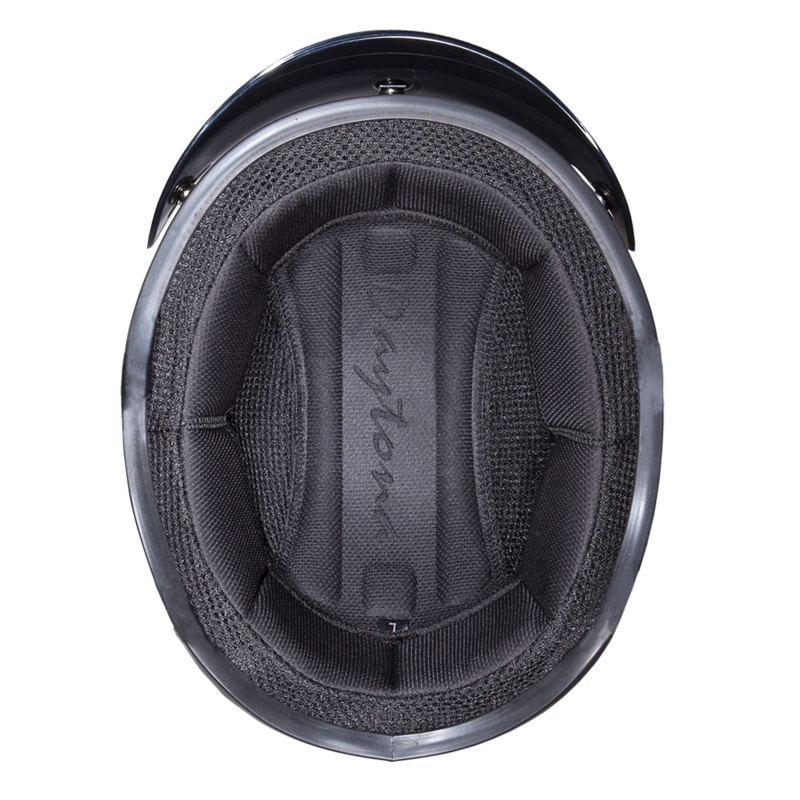 Inside the customer informed interior is padded with moisture wicking fabric that keeps your head cooler and more comfortable during those longer rides. The nylon Y-strap retention system has a sliding adjuster that let you position your Skull Cap exactly where you want it. 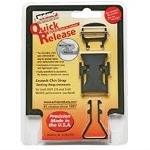 Once the feels right, a quick release lock retention keeps the helmet secured in place. Most of our Skull Caps Helmets come in sizes 3XS - 4XL. When it comes to style, there are four families in the Skull Cap lineup. First up is the minimalist look, with your basic and custom colors. Most available with or without a removable snap on mini scoop visor. You get the same option with the gray Carbon Fiber model, which uses real carbon fiber with the tightest weave, engineered for above standard performance. Next is the Leather Covered option. Crafted with the finest New Zealand lamb hide for an authentic style. Also available with or without the visor. Finally you have a variety of Graphic designs to choose from so you can nail down the unique, head turning look at that fits your personality. Every helmet in the Skull Cap lineup comes with A head wrap and a cloth drawstring bag. Daytona helmets, leading the way in quality headgear. 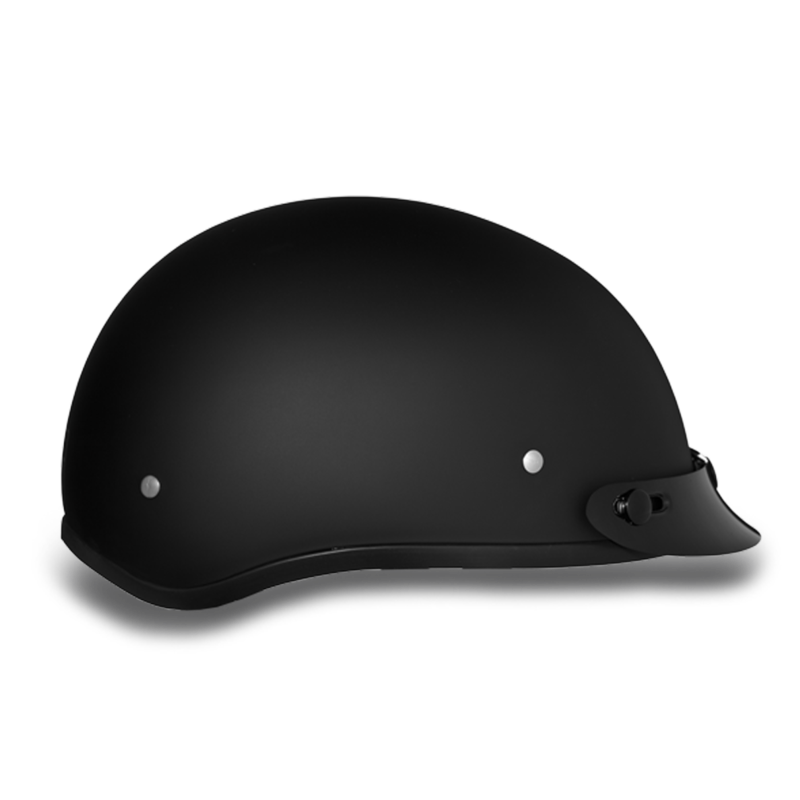 Love this helmet, works great, looks great and the quick adjust is awesome. Only reason for 4 stars is it is a little heavy but not too bad. This is also not the smallest helmet made but for me its the perfect size. I would definately buy again! 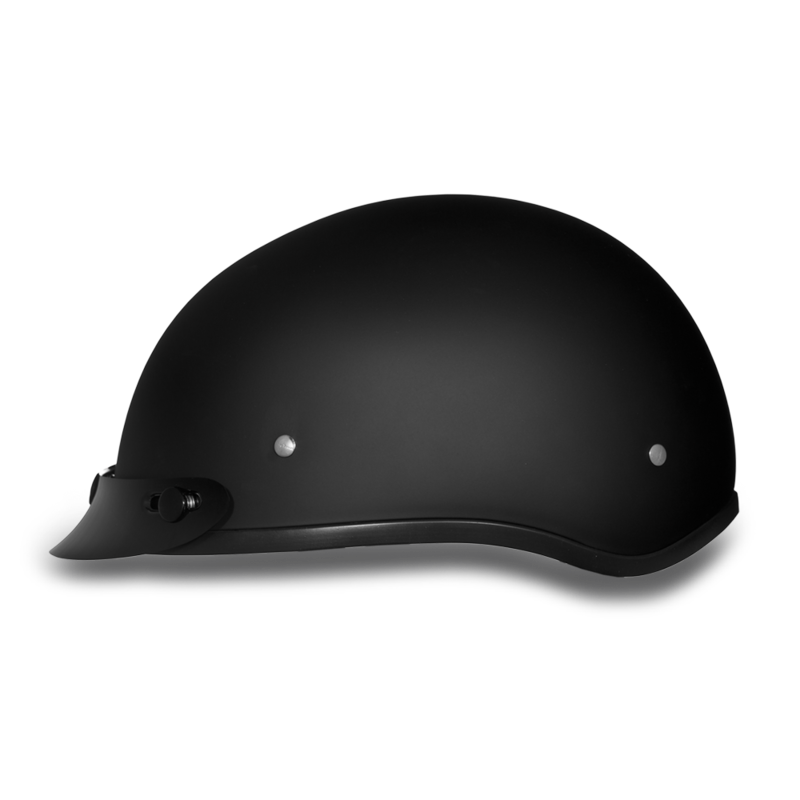 Just as described Great Helmet Great Deal! Purchased the Gun Metal Skull Cap - one for my husband and one for myself. They fit awesome and you can hardly tell you have a helmet on - super comfortable and the straps are easy to adjust for the perfect fit. Loved it so much I bought a second one for myself in the Dull Black to match my bike. The gun metal matched his bike perfectly - bonus! Would definitely recommend. Q: Is this your smallest D.O.T. approved motorcycle helmet? A: Yes, this is currently the smallest D.O.T. Approved helmet on our website. Daytona Helmets new Slimline design is the smallest and lightest half helmet we have seen in 24 years. Q: Is the visor removable? Is this a low profile helmet (not the bubble head look)? A: Yes this visor is removable, it gives you snap on shield options, this is the smallest DOT helmet we've seen in the market so far, most people love the low profile look of this helmet. Q: I measured my head and it is 22 3/4" Which is a medium on your chart if it is to small can I send it back or should I order a large? Q: Does this helmet have the Rachel slide chin strap and quick release ? Q: any faceshields available ? Q: My son's head size is 47cm. Should I get a 2xs or an xs? A: According to the manufactures sizing chart, size 2XS fits 18 1/8 - 19 inches. 47cm = 18.5 inches. So according to the size chart, the 2XS should be the correct size. Q: Is this "Daytona Skull Cap Solids" DOT compliance? A: Yes, the Daytona Slimline Skull Cap meet D.O.T. requirements. It is the smallest D.O.T. 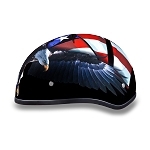 half helmet we have come across in 24 years of selling motorcycle helmets. Q: Is this helmet the same as the one on Daytona's website under catalog ID# D1-B? Yes this is the same helmet as you see on the Daytona Helmets website. They are referring to this model as the Slimline. Q: Are larger visors available that will fit this helmet? A: Yes, here's a link to a larger/longer snap on visor that fits any 3 snap helmet.